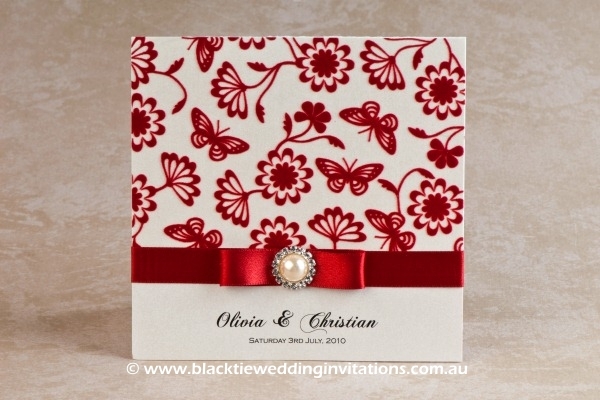 Every person I have spoken to has commented on your invites – how beautiful they are!! One fellow said he has never seen such a beautiful invitation. I have a hard act to follow to make sure the wedding lives up to expectations as you know the invitations set the theme for things to come. I just want to say thank you so much for my absolutely gorgeous engagement invitations. I have been getting calls everyday from people saying how amazing the invites are and wanting to know who made them. I’m extremely happy with them. Thank you so much for your professional and timely service. I can’t wait for the wedding now because I’ll definitely be coming back to you for my wedding invitations. Daniel & I would both like to thank you for your eminent help and professionalism with regard to the organizing of our wedding invitations and table cards. Although I had an idea of what I wanted for our invitations, it was through your help and patience that both Daniel and I were able to achieve an invitation that reflected ‘us’, something simple but elegant, and we achieved this. 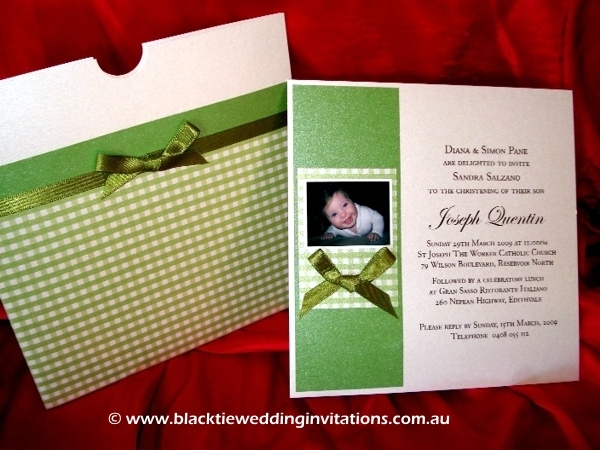 We have had several comments from our guests of how much they liked the look of the invitation. To say your work is of a professional standard is to say the least. What I appreciated was your personal service and lovely nature. I have no hesitation coming to you in the future. Many thanks again. 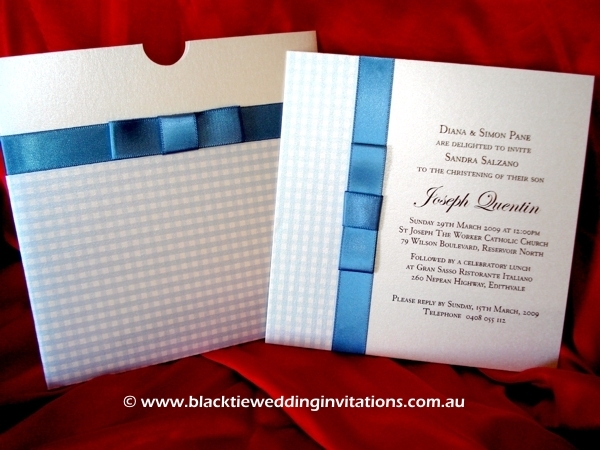 The invitations were spectacular and the responses from the people who received them were fantastic. Thank you so much for our wedding invitations! As you know we were VERY unsure of what we wanted but you were so patient with us. 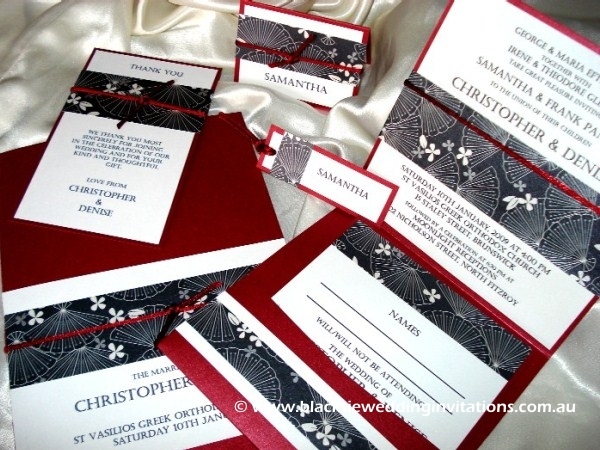 You were friendly, informative, very responsive and best of all our invitations were absolutely stunning! Nothing was too much trouble for you and it really took a load off knowing they were taken care of. I was initially nervous having someone do them for us as I can be a bit of a perfectionist but I can’t fault them! We will definitely recommend you to our friends and family and won’t hesitate in coming to you again for any future invitations. With all the hard work involved in organizing our sonâ€™s christening, it was a sheer joy to leave the task of creating the perfect invitation in your competent hands. I was thoroughly impressed with your friendly, prompt and efficient service. 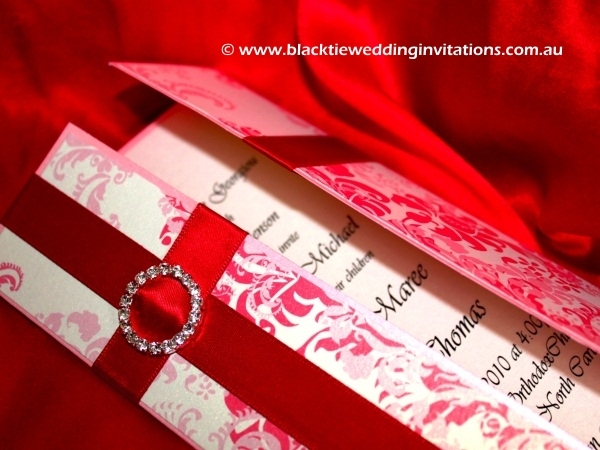 The quality, layout and presentation of the invitations by far exceeded all my expectations. They were little works of art. Everyone commented on how beautiful they were. I will definitely be using your service again and I have no hesitation to sing your praises to all my friends and family. Thank you for making our boyâ€™s big day even more special. The engagement invitations were gorgeous. Everything I was hoping for and more. I’m probably the most pickiest bride to be, but you’ve left me speechless. Torben and I really appreciate your time, effort and creativity. 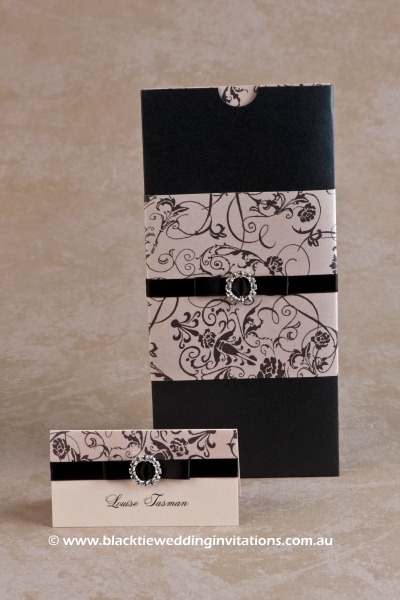 Black Tie Wedding Invitations made it so easy when trying to plan our daughter’s christening. The invitation designs are fantastic with so many to choose from plus the friendly and professional assistance we received was outstanding. 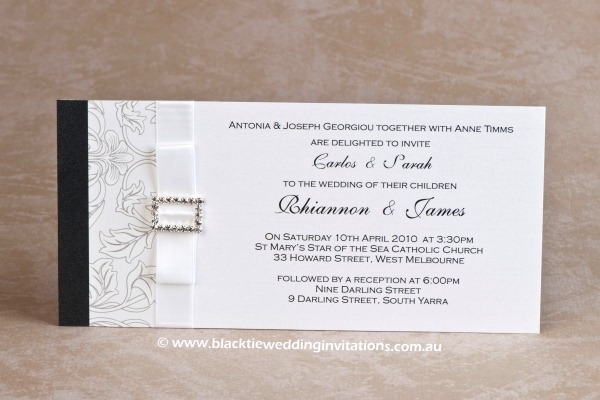 We definitely recommend Black Tie Wedding Invitations and we will certainly be utilising their service again. The invites that Black Tie Wedding Invitations did for our wedding were amazing. We got comments about how good our invites looked from almost everyone we invited. Black Tie Wedding Invitations went above and beyond in the creative process as well as making sure we had our invites with plenty of time to spare. 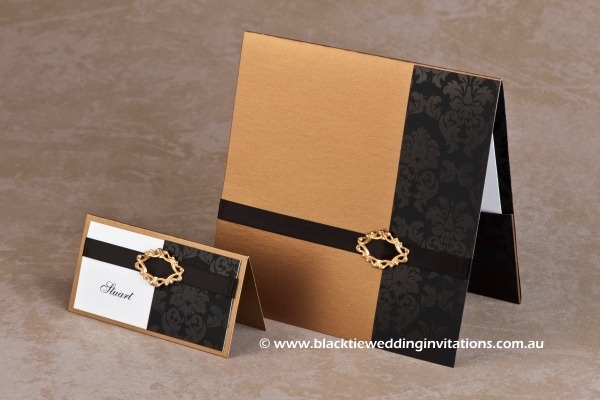 I would recommend anyone needing invitations to get them from Black Tie Wedding Invitations.